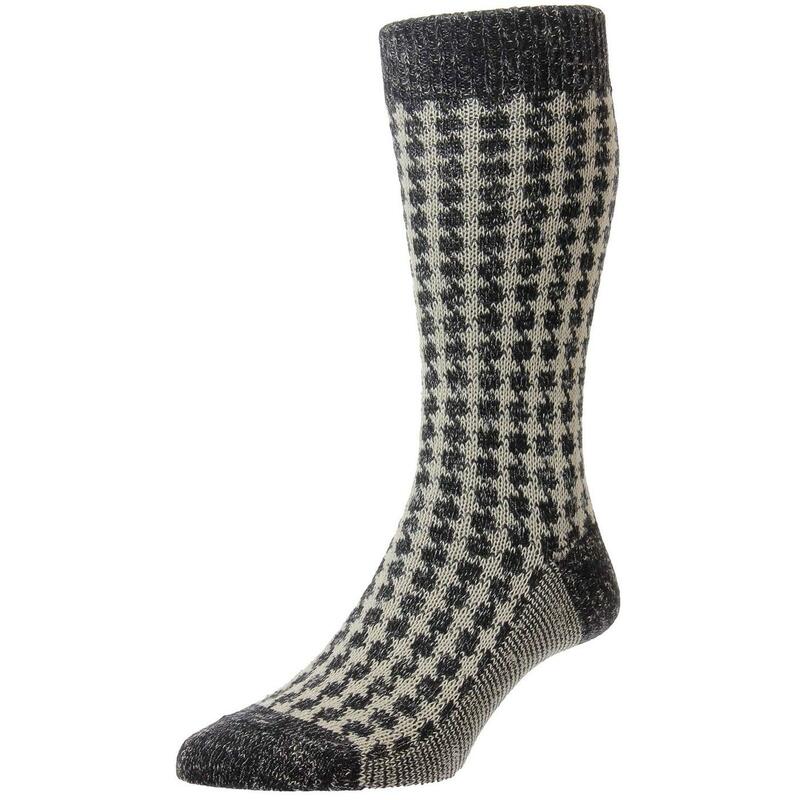 The Hoyland houndstooth is classic bold retro style, perfect for Autumn/Winter knitted using a 96-stitch 'leisure-weight' gauge, which makes for a thicker sock. The luxury cotton and cashmere blend makes Hoyland socks a splendid treat every time you wear them. 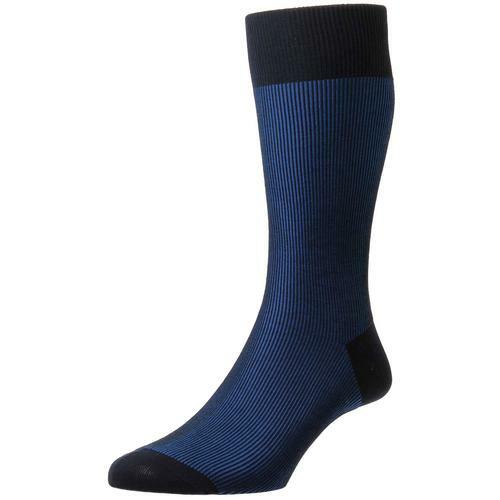 Smooth seamless toe provides the ultimate in comfort, the toe is linked with a single thread creating a virtually undetectable, very comfortable and flat seam. 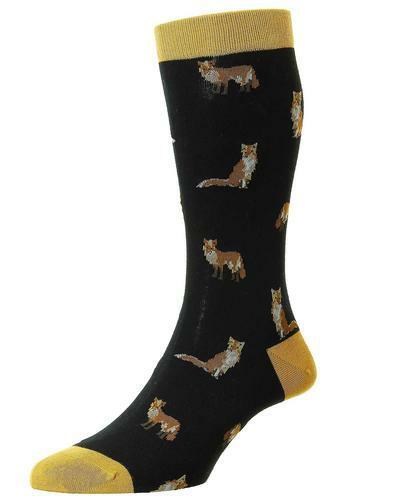 Pantharella Hoyland houndstooth retro style cashmere blend socks. Composition: 53% cotton, 25% nylon, 15% viscose, 5% linen, 2% cashmere. Care: Wash with similar colours on a 40 degree wash.
+ This item cannot be returned. Small: UK 6 - 7, EU 39 - 40, US 7 - 8. 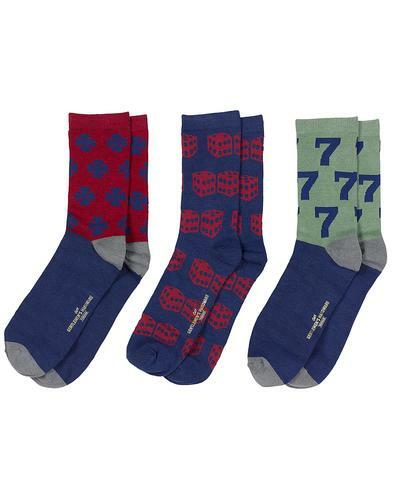 Medium: UK 7.5 - 9.5, EU 41 - 44, US 8.5 - 11. 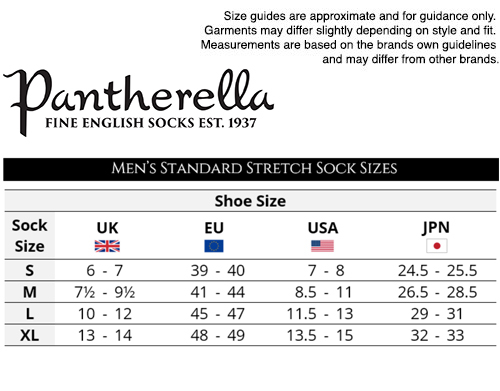 Large: UK 10 - 12, EU 45 - 47, US 11.5 - 13.